Our volunteer Campaign Council and Patrons are dedicated to Change It. For Good. Together with Monash University leadership and professional staff, they are committed to advancing the mission of the Change It. For Good. campaign. Meet the members who are raising the profile of philanthropy through their own transformational giving and leadership. 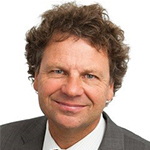 Simon McKeon is Chancellor of Monash University, and was former Executive Chairman (Melbourne Office) of Macquarie Group, where he continues to be retained as a consultant. Mr McKeon’s counsel is sought from the public, private and charity sector on wide-ranging subjects from sailing to medical research. He is a highly respected figure in Victoria’s philanthropic community, and as Founding Campaign Chair, his vision is to inspire a growing community to create transformational change. As President and Vice-Chancellor of Monash University, Professor Margaret Gardner’s elevation of philanthropy and alumni engagement has inspired hundreds of people to make gifts of scale and impact to the University. During her tenure, more people have made a gift to Monash than ever before, and the University has received more gifts of $1m+ during the Campaign to date than in the rest of its 60-year history combined. Professor Gardner’s championing of equity scholarships has led to extraordinary growth of enrolments among students from disadvantaged backgrounds, greatly contributing to the University’s broader goal of becoming Victoria’s largest driver of social mobility. In 2018, Professor Gardner was honoured with the CASE Asia-Pacific Advancement Leadership Award, recognising her personal and strategic commitment to ensuring philanthropy and alumni engagement are placed at the heart of what we do at Monash. 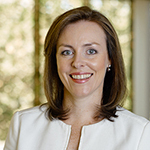 Natasha Bowness is an Executive Director of Wilbow Group, a private family investment business operating in Australia and the US. Its activities include property development and financing, listed and unlisted investments and private equity. She holds a Bachelor of Economics from Monash University and is a Chartered Accountant formerly with PricewaterhouseCoopers. She has extensive experience in property development, governance, strategy, risk, business management, audit and finance. Ms Bowness has had a long association with philanthropy. She is Chair of the Bowness Family Foundation which supports arts and culture, education and disability and includes a focus on providing access and opportunity to the broader community. Ms Bowness is a member of The Australian Ballet Foundation Board and President of the Australian Ballet Annual Giving Program. She is a Director of Zoos Victoria and Chair of the Monash Gallery of Art Committee of Management. Peter Coleman is CEO and Managing Director of Woodside. 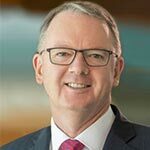 An alumnus of Monash University with a Bachelor of Engineering and a Diploma in Civil Engineering, Mr Coleman has more than 30 years’ experience in the global oil and gas business, including 27 years with the ExxonMobil group, culminating as Vice President Development Company. In 2016, Woodside Energy, led by Mr Coleman, granted $10 million to Monash University to establish the Woodside Innovation Centre, setting a new benchmark for transformational corporate philanthropy. The Centre aims to tackle major challenges in the energy sector through undertaking research and training in the fields of new materials engineering, additive manufacturing and data analytics, and has been widely heralded as a peak exemplar of academic-industry collaboration through philanthropy. Richard Dammery is a lawyer and senior executive with a diverse range of interests. He studied Arts (English) and Law at Monash University, before undertaking a PhD in early English legal studies at the University of Cambridge, where he was a Senior Rouse Ball scholar at Trinity College. Returning to private legal practice in Australia, Mr Dammery became a Partner of Minter Ellison Lawyers from 2008-2014. During this period, in his spare time, he completed an MBA at the University of Melbourne. 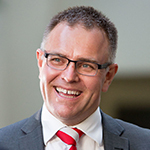 In 2014, he joined Woolworths Group as its Chief Legal Officer and Company Secretary. He also serves as a director of ALH Group and Quantium, Australia’s leader in big data and analytics. Mr Dammery has been involved with a wide range of not-for-profit organisations, and was the founding Chair of Cambridge Australia Scholarships, which operates in conjunction with the Cambridge Trusts to provide funding for Australian postgraduate students at Cambridge. 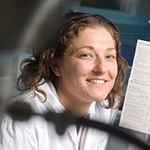 Lara Grollo is a lifelong scientist and a philanthropist who merges her academic passion with her charitable pursuits. She is currently a Senior Lecturer in Science and Honours Course Co-ordinator at Australian Catholic University. A member of the prominent Grollo family, she is a director of the Grollo Ruzzene Foundation; a charitable foundation set up by her parents Rino and Diana Ruzzene Grollo, and was a board member of the Monash University Medical Foundation. The Grollo family are long-time supporters of Monash University, providing invaluable contributions to medical research - particularly in pioneering a groundbreaking women’s health study - and the Monash Prato Centre in Italy. James Hawkins is a Managing Director with the independent advisory firm Flagstaff Partners. 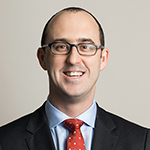 Prior to joining Flagstaff Partners, he worked for Macquarie Capital in Melbourne and New York. Mr Hawkins holds a Bachelor of Laws (with Honours) and a Bachelor of Commerce (Major in Finance) from Monash University. He supports the Monash Blues Football Club and Faculty of Law. 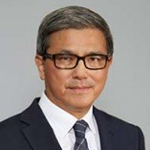 David Li is an entrepreneur and company director, with more than thirty years of experience in property development, building material manufacturing and financial management, and was formerly a professional classical musician. Prior to his business career, Mr Li was a violinist and performed with prominent orchestras in China and Australia. David is a board director of Melbourne Symphony Orchestra, board member of 3 MBS Radio Corporation and major patron and production partner of Opera Australia. 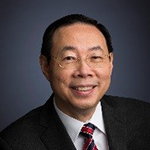 Currently involved in the arts and education as a philanthropist, Mr Li has made contributions to all the major Melbourne and national arts institutions. He is keenly committed to fostering cultural exchange and communication. Karl Redenbach is the Co-founder and CEO of LiveTiles, an award-winning Microsoft Partner and global software company that empowers its users to create their own intelligent workplace experiences. 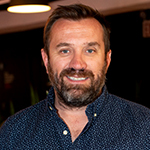 Since founding as an Australian start-up in 2014, LiveTiles has established headquarters in New York City and expanded to provide a suite of products that serve small and large businesses across all industries. Mr Redenbach is based in NYC with frequent travel to his native Victoria, including for the launch of LiveTiles’ new Asia-Pacific headquarters and global innovation centre in Geelong. He holds a Bachelor of Laws and Bachelor of Arts from Monash University, and continues to invest in the professional growth of graduates. LiveTiles regularly hosts Monash students as part of the Global Discovery Program, established to give students an immersive experience in New York and London to prepare them for “tomorrow’s global workplace." In December 2014, Mr Redenbach was awarded CEO of the Year by the Australian Human Resources Institute. He was named among the top 50 SaaS CEOs in 2018. Wai-Kwong Seck is Chief Executive Officer, Asia Pacific at State Street Bank and Trust Company. He is also a member of State Street’s Management Committee – the most senior strategy and policy-making team. Mr Seck was a Colombo Plan Scholar, graduating from Monash University with a Bachelor of Economics with first-class honours. He currently serves as a Vice-Chancellor’s Professorial Fellow and a member of Monash’s Global Leaders’ Network in Hong Kong. He supports scholarships for disadvantaged students and is committed to strengthening philanthropy in the region. 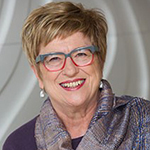 Mary Vallentine is one of Australia’s most distinguished arts administrators, with more than 40 years’ experience in orchestral, theatre, festival and venue management. Her career interest is in enabling the development of the arts in Australia through a number of executive and non-executive roles. She is a financial supporter of various arts organisations and ensembles in Australia and a member of the board of The Myer Foundation. Professor Vallentine currently works as music advisor to the Adelaide Festival of Arts and holds board roles with a number of arts companies in Melbourne and Adelaide including Malthouse Theatre, Flinders Quartet, Milgrom Foundation and Ukaria. She is a Vice-Chancellor Professorial Fellow and a donor to Monash University. Marc Besen has been a retailer and property developer for more than 50 years, and the driving force behind the Sussan Group, Highpoint Shopping Centre, and the TarraWarra Estate Winery and Museum of Art in the Yarra Valley. 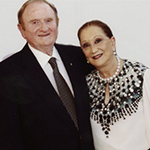 Together with his wife Eva, the couple established the Besen Family Foundation to build on their tradition of philanthropy. At the core of the foundation is the involvement of family members and the desire to encourage a spirit and culture of giving which can be developed and handed on to future generations. In 2014, Marc and Eva Besen contributed $1m to the Bionic Eye Project, a research game changer in treating vision impairment. Currently Australia’s Chief Scientist, Dr Alan Finkel was previously Chancellor of Monash University the President of the Australian Academy of Technology and Engineering. 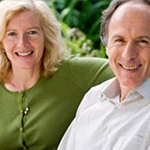 Awarded his PhD in Electrical Engineering from Monash University, Dr Finkel has built an extensive career as an entrepreneur, engineer, neuroscientist and educator, and is now a leading philanthropist alongside his wife Elizabeth. He was the first Monash alumnus to become Chancellor of his alma mater. 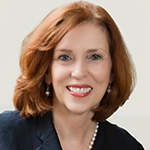 Dr Elizabeth Finkel is an award-winning journalist and one of the founders of Cosmos Magazine. She has written several highly-acclaimed books and her work has appeared in publications across the world. The Alan and Elizabeth Finkel Foundation has made inspired and transformational gifts to Monash over many years – from indigenous cultural preservation to global public health – testament to the University’s diverse capacity to influence change, for good. John Gandel AC is an Australian businessman, property developer and retail pioneer who has wide-ranging interests in commercial real estate and shopping centres across Melbourne. 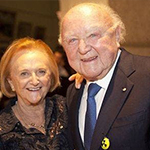 He and his wife Pauline are active philanthropists recognised for their commitment to health, education, the arts, Jewish identity and community causes. The Gandel family has a close connection with Monash – three generations hold Monash degrees, including John's and Pauline’s honorary doctorates conferred in 2014. The family currently support Monash scholarships for Indigenous and disadvantaged students through their foundation, Gandel Philanthropy, one of Australia’s largest independent philanthropic funds. 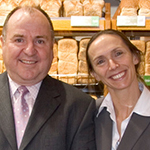 Lesley and Roger Gillespie are founders of Bakers Delight, which started with one store in 1980. It is a Victorian institution with an international presence, comprised of more than 700 bakeries across Australia, New Zealand, Canada and the United States. Roger and Lesley, along with their children Aaron and Elise and their spouses, Meghan Gillespie and David Christie founded the Gillespie Family Foundation. The Gillespie family has always been committed to working for the good of the wider community, through philanthropy, action, and advocacy. In 2014, the Gillespie Family Foundation pledged $1.25m to the World Mosquito Program to eliminate mosquito-borne diseases, particularly dengue fever and Zika virus, later committing a further $3.25m. The program, which has eradicated transmission of dengue in areas of Far North Queensland, reaches two million people across 12 countries and aims to expand its operations to 20 countries by 2020. Lady Primrose Potter is synonymous with Australian philanthropy. Currently the Life Governor of the Ian Potter Foundation, her work as one of Australia’s most prominent philanthropists and arts administrators has had a profound impact on our society. The Ian Potter Foundation was founded by Lady Potter’s late husband Sir Ian Potter, a visionary in business and philanthropy. Monash University has received continuous support from the foundation for the arts, medical research and environmental initiatives. Most notably, the Ian Potter Foundation is the major benefactor for the redevelopment of the Alexander Theatre and provision of two new arts venues, all under one roof and to open in early 2019 as the Ian Potter Centre for Performing Arts at the heart of the cultural precinct on Monash’s Clayton Campus. 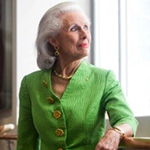 Jeanne Pratt is a distinguished Australian who has made her mark in business, philanthropy, the arts, and public service. She migrated to Australia from Poland in 1939 with her Jewish refugee parents. Following a career in journalism, she became a director of the packaging, paper and recycling company, Visy Industries, after her marriage to Richard Pratt. Mrs Pratt has devoted much of her life to active community service through her support of a variety of philanthropic and arts activities. 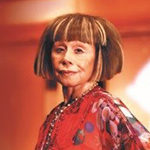 She and her late husband established Pratt Philanthropies in Melbourne in 1978, which has since become one of the largest philanthropic bodies in Australian history. The Pratt Foundation supports a prestigious musical theatre artists in residence program at Monash University, among many other transformative initiatives. 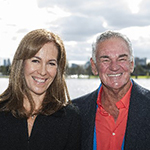 Peter and Angie Scanlon are major supporters of endeavours that celebrate diversity and strengthen our communities. Mr and Mrs Scanlon recognise that the defining characteristic of Australia’s economic growth and the richness of its community depends on the successful settlement in Australia of people from all over the world. The Scanlon Foundation has partnered with Monash to deliver a series of detailed surveys on social cohesion and population issues. The first set of its kind in Australia, the surveys contain a decade of insights into public opinion on social cohesion, trust, immigration, asylum seekers, and ethnic, cultural and religious diversity. Authorised by: Chief Marketing Officer, Strategic Marketing and Communications. Maintained by: Giving to Monash Webmaster Team. Last updated: Feb 2019.